LANGKAWI, (17 January 2015) – The 13th Royal Langkawi International Regatta (RLIR) 2015 drew to a close on Saturday after five days of gusting winds and choppy seas challenged the 40 yachts along the harbor and coastal courses, from 13 to 17 January 2015. “This regatta has always been one of our favourites and I can see it only getting better. That’s because it’s about the quality of the races rather than the quantity of participants,” said Ahern. Bill Bremner’s crew on Foxy Lady VI defended their LADA-IRC Challenge Trophy in the IRC Class, winning eight of their 10 races, while RSYC Setia West secured the Langkawi Sports Trophy after a week of intense competition within the Sports Boat Class. “We had some competition from Island Fling and Fujin but I think it came down to our crew and how solid they are in any condition so it’s been a fantastic week,” said Foxy Lady Vl’s Bremner. Andaman Cabriolet Nina outclassed its competitors to take the Malaysian Multihull Challenge Cup and Club Cruiser Sophia’s steady performance throughout the regatta gave her the RLYC Commodore’s Challenge Cup. In the Ocean Rovers Class which is split into two groups, My Toy topped Group A and Chantique took the win in Group B after a total of eight races. Andaman Cabriolet Nino and skipper Grenville Fordham were awarded the Tunku Abdullah Sportsmanship Award, voted for by all participants for competitiveness, fair racing and comradeship, on water and land. “Congratulations to the winners and participants for making this a successful regatta. I also offer my gratitude the Ministry of Tourism and Culture for their continued support throughout the years, and to our sponsors as our success is due to their support,” said Y.M. Tunku Dato’ Yaacob Tunku Tan Sri Abdullah, Commodore of the Royal Langkawi Yacht Club. Y.A Bhg. Tun Dr. Mahathir Mohamad, former Prime Minister of Malaysia and Patron of the Royal Langkawi Yacht Club, graced the Closing Ceremony dinner and presented the trophies to the winners of the Prime Minister’s Challenge, the Langkawi Sports Class, the Malaysia Multihull Challenge, RLYC Commodore’s Challenge and the Tunku Abdullah Sportsmanship Award. The LADA-IRC Class Trophy was presented by Y. Bhg. Tan Sri Khalid Ramli, the Chief Executive Officer of the Langkawi Development Authority (LADA). The Overall Class Prizes were presented by Y. Bhg. Datuk Mirza Mohammad Taiyab, representing the Minister of Tourism & Culture Malaysia. 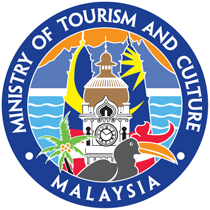 RLIR 2015 is supported by the Ministry of Youth & Sports Malaysia, the Ministry of Tourism & Culture Malaysia and Tourism Malaysia, Kedah State Government and Langkawi Development Authority (LADA). 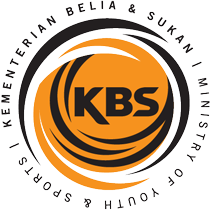 Other partners include Permanis Sandilands, Neil Pryde, Caterpillar (Sime Darby Industrial), Teraju Tri-Tech Sdn Bhd and Jaguar Land Rover Sdn Bhd. 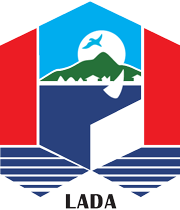 The Royal Langkawi International Regatta (RLIR) 2015 is organised by the Royal Langkawi Yacht Club (RLYC) and sanctioned by the ISAF and Malaysian Sailing Association (MSA), and supported by the Ministry of Youth and Sports, Malaysia. The RLIR is part of the Asian Yachting Circuit.